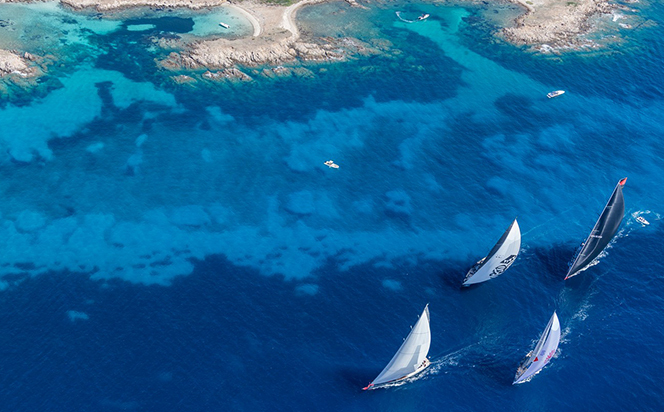 Not so long ago the boats raced at these events were predominately very much cruising yachts that simply wanted to enjoy some friendly competition during a season spent in the Mediterranean or Caribbean. To some extent that’s still the case, for instance some events have more than half a dozen 80+ foot Oysters on the entry list, albeit some of them with Olympic stars shipped on board for the racing. 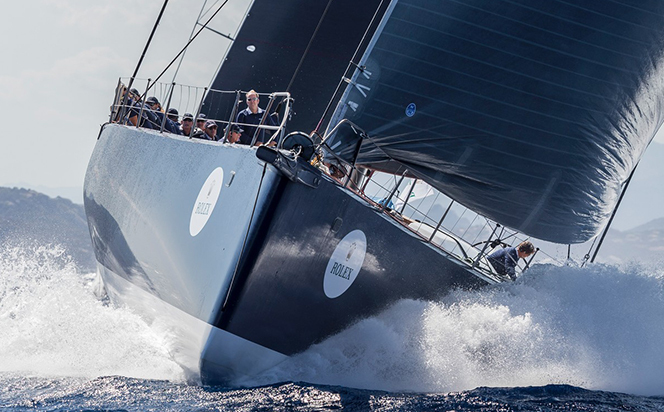 Nevertheless, there’s now also a growing demand for enormous dual-purpose performance cruising yachts that can be converted to racing machines for these events. For a few years these yachts appeared to be becoming ever larger, with some of the latest launches more than 60m (200ft) in length and each successive generation pushing the boundaries of both technology and existing sailing skills. Approaching a mark rounding with a yacht of that size fully powered up is an awesome experience, but with plenty of potential for something to go badly wrong. The current trend, however, appears to be for a consensus towards a sweet spot at around 120ft, that still provides incredible power married to sumptuous accommodation, but is also small enough to give a more direct feel of the boat. 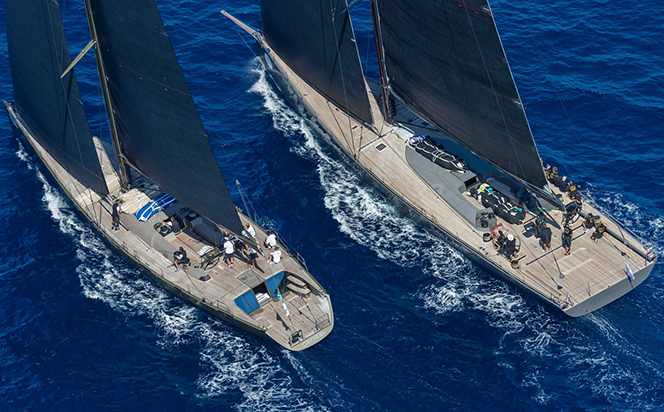 The growth in popularity of such regattas has undoubtedly changed the nature of superyachting for many owners, with these events providing a rich social scene in addition to the contest afloat. Yet, perhaps surprisingly, for a group of highly competitive people, as superyacht owners tend to be, the prizes are almost unbelievably modest. The clearest example of this is surely found in one of the earliest popular superyacht regattas, the Barth’s Bucket, the main prize for which is, as the name suggests, a beaten up old metal bucket. As well as events for genuine superyachts of more than 80ft length, there are also others organised by top brands of production yachts, including Oyster and Nautor’s Swan. In many ways these are just as prestigious, even if the boats are predominately smaller and more cruising oriented. For instance, Nautor runs events annually in two of the world’s premier destinations – Porto Cervo in Sardinia and Virgin Gorda in the British Virgin Islands, both sponsored by Rolex.